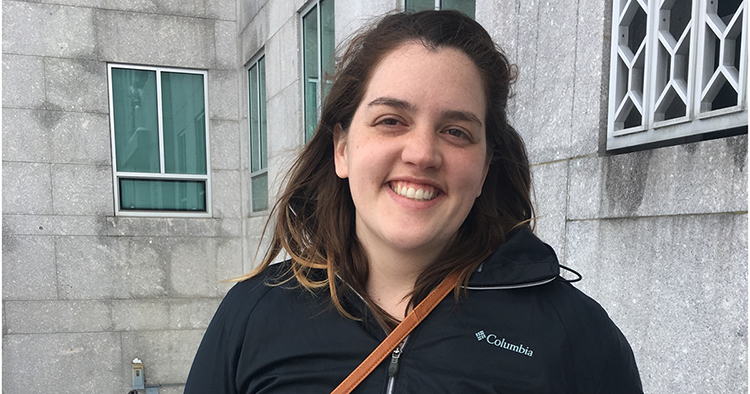 Westbrook, MAINE – Democrat Eryn Gilchrist of Greene announced today that she will run for Maine State House District 57 (Sabattus and Greene), challenging Republican candidate Les Gibson who recently garnered national headlines for insulting two students who survived the school shooting in Parkland, Florida. Today, Gilchrist submitted the necessary signatures to the Secretary of State’s office to place her name on the November ballot. After reading Gibson’s comments, Gilchrist spent much of this week collecting signatures for her run, working through this week’s massive snowstorm to gather enough support to place her name on the ballot before today’s 5 p.m. submission deadline. Eryn Gilchrist, 28, lives in Greene, Maine with her husband and dog. She works for a medical device company based in Bowdoin and attended Bates College in Lewiston. Following graduation from Bates, she and her husband moved to Connecticut for a brief amount of time, only to decide to move back to Maine after missing the state so much. Democrat David Gilbert, the Chair of the Sabattus Town Planning Board, had also submitted signatures to have his name put on the ballot, but will withdraw them and is excited to support Gilchrist’s candidacy.